How Do I Set Up Email on My Android v7.0 Device? Note: These instructions are to set up your email only. This article was created using a Samsung Galaxy S8 running Android v7.0 Nougat. The steps should be similar for other Android devices. If the instructions are not exact for your device, then we recommend that you use the settings and follow the on screen prompts to set up your device or contact your service provider for assistance. Follow the steps below to set up email on your Android v7.0 device. 2. Scroll through the list of options and tap Accounts. 3. From the Accounts panel, tap Add Account. 4. From the Add Account panel, tap Email. 5. Enter your sign-in details, which includes the full email address of the account you are setting up and the password for that mailbox. The password was set up during the mailbox creation process. Do not press Next. Tap Manual Setup to continue the setup process. 6. Select the Account Type that you would like to create from the popup window that appears after tapping Manual Setup–either POP3 or IMAP are acceptable choices. Our servers provide access via both protocols. 7. Reference the following tables to enter the necessary Server Settings and tap Next. 1. 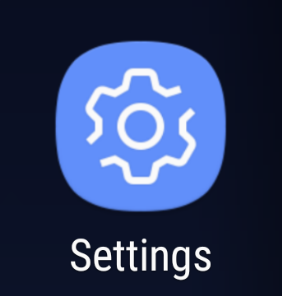 On older Android the Incoming and Outgoing server settings may be on separate pages. 2. This article assumes an IMAP setup. If you are setting up POP3, you will be presented with different options in place of the IMAP path prefix (see below). 3. For POP3 Setup Only: Select whether you would like to delete email from the server When Deleted From Inbox of your phone, or tap Never, then tap Next. 4. Replace domain.ext with your domain name and extension, for example. 8. Customize your Account Sync options to your desired settings and tap Next. 9. Customize your Account Name and Display Name to your desired settings then tap Done. The program will now verify the settings and the account setup will be complete. Email is set up on your Android device and is ready to use. 3. Select Email from the Accounts list. 4. Tap the Three Vertical Dots icon in the Upper Right-Hand Corner. 5. Select Remove Account from the options list that appears. 6. Confirm the removal by selecting Remove Account from the popup window. Your Android account is now removed.